For the first time an exhibition addresses the huge artistic influence of the Brücke painter and German expressionist Otto Mueller: As a mentor for a younger generation, he taught for more than ten years at the State Academy of Fine Arts and crafts in Wrocław, which in the 1920s was regarded as one of Europe’s most progressive art schools. Here, the various movements in painting at the time were seen as equals: Académie Matisse, Expressionism, New Objectivity and Bauhaus. 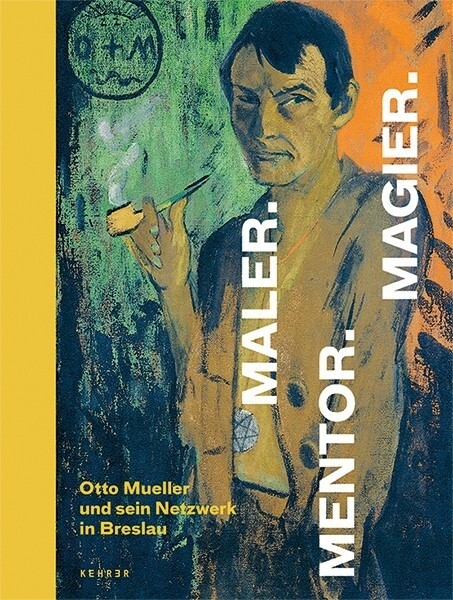 Otto Mueller, who was nonconformist and charismatic had significant influence on the local art scene. This publication draws greater attention to an important joint chapter in German-Polish art history. It accompanies the exhibition by the Nationalgalerie, Staatliche Museen zu Berlin, in collaboration with the Alexander and Renata Camaro Foundation. Jankel Adler, Isidor Aschheim, Alexander Camaro, Jan Cybis, Johnny Friedlaender, Grete Jahr-Queißer, Alexander Kanoldt, Ernst Ludwig Kirchner, Ludwig Peter Kowalski, Stanisław Kubicki, Wilhelm Lehmbruck, Carlo Mense, Oskar Moll, Marg Moll, Johannes Molzahn, Georg Muche, Otto Mueller, Zdzisław Nitka, Oskar Schlemmer, Willy Schmidt, Horst Strempel, Gerda Stryi-Leitgeb, Heinrich Tischler, Witkacy et al. Magdalena Droste, Lidia Głuchowska, Barbara Ilkosz, Florian Karsch, Iwona Luba, Gerhard Leistner, Piotr Łukaszewicz, Tanja Pirsig-Marshall, Sarah M. Schlachetzki, Dieter Scholz, Peter Sprengel, Małgorzata Stolarska-Fronia et al.